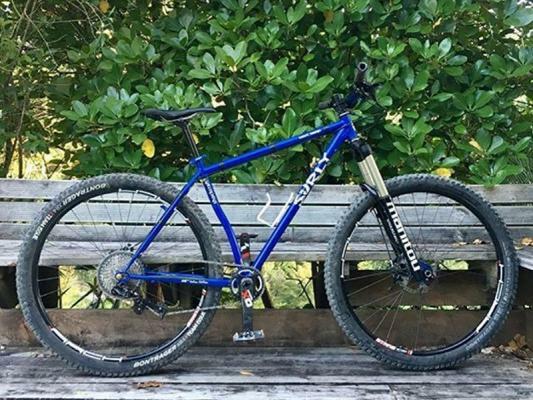 This Surly Karate Monkey from @dollymca has had a make-over, complete with a custom built fork from Shockcraft - a Manitou Minute 29" with a straight steerer, 20 mm axle and 140 mm of travel. "The karate monkey was initially setup as a fully rigid bike packing rig. 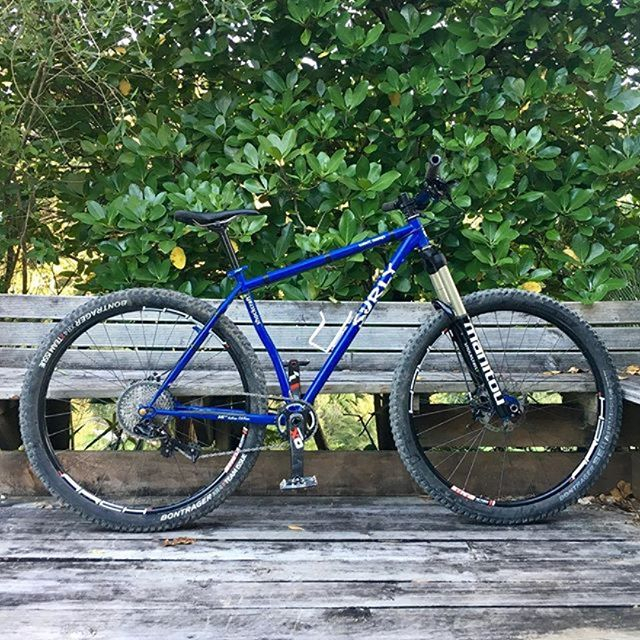 After a couple of trips it was decided to make it a bit more all purpose (and comfortable) so it could be used as a trail bike for fitness, fun rides (hopefully a couple of backcountry multi day rides) and keeping the full sus bike out of the worst of the wet and mud. The forks have performed exceptionally, exceeding the expectations of the 32mm chassis, even the base tune put on by you guys was pretty well spot on to ride out of the box. Rolling on 29” wheels and 140 of Manitou plushness makes it a capable and fast trail rig!"